Let’s take a further look at the health benefits of saw palmetto for women. 1. Treats bladder disorders: According to the National Center for Complementary Alternative Medicine, women who experience bladder disorders, such as urinary tract infections, may benefit from taking saw palmetto. Studies show that saw palmetto is beneficial for reducing inflammation of the bladder and soothing painful urination. 2. Blocks the overproduction of testosterone: Saw palmetto helps reverse hirsutism, which is the unusual growth of facial or body hair, particularly in women. This is usually caused by an overabundance of hormones in the body. Saw palmetto has the ability to block the overproduction of testosterone in the female body, which will alleviate unwanted hair. 3. Treats hair loss: Dihydrotestosterone (DHT) is derived from the male hormone testosterone—it is also the primary cause of hair loss in men and women. When DHT builds up in the hair follicle, it causes a gradual thinning of the hair shaft. Depending on one’s tolerance to this hormone, effects can include minimal hair loss, hair thinning, or balding. Research shows that saw palmetto can block 5-alpha-reductase, an enzyme that converts testosterone to DHT. 4. Treats acne: The same DHT hormone that leads to hair loss also has the ability to cause an excess of sebum in the skin. The increased production of oil on your skin increases the chances of clogged pores. This can lead to blackheads and acne. As mentioned above, saw palmetto can block 5-alpha-reductase. 5. Treats menopausal symptoms: During menopause, estrogen and progesterone levels drop, while the testosterone levels remain steady. Saw palmetto helps prevent weakening of the vaginal and uterine tissues, an uncomfortable side-effect menopausal women experience. 6. Reduces effects of polycystic ovarian syndrome: This is an endocrine system condition that affects a woman’s hormones. It causes excess facial and body hair, trouble losing unwanted weight, irregular menstruation, and infertility. Testosterone imbalance is associated to this condition. Saw palmetto may help reduce the effects of these symptoms mainly because of its hormonal effects. Some people who take saw palmetto complain of stomach pain, nausea, bad breath, constipation, vomiting, diarrhea, heartburn, and indigestion. To reduce these symptoms, it’s best to take saw palmetto with food. Reports indicate that saw palmetto may cause breast tenderness or enlargement, eye problems, mouth and teeth issues, inflammation of the pancreas, sexual dysfunction, and genital or urinary problems. 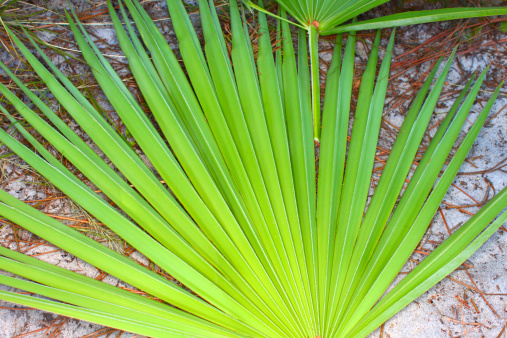 Saw palmetto can be consumed as a tablet, capsule, or even as a tea. Herbs are naturally very potent and can counteract certain medications, so it is essential that you speak to your doctor before adding saw palmetto to your diet. If you are taking saw palmetto supplements to treat bald spots, it is generally recommended that you consume 200 milligrams (mg) twice a day, combined with 50 mg of beta-sitosterol twice a day. Saw palmetto might reduce the effects of estrogen levels in the body and thus the effectiveness of birth control pills. Again, make sure to first consult your doctor before introducing saw palmetto to your diet. Draus, S., “Benefits of Saw Palmetto for Women,” The Nest web site; http://woman.thenest.com/benefits-saw-palmetto-women-5956.html, last accessed August 27, 2015. Hellesvig-Gaskell, K., “Benefits of Saw Palmetto for Women,” Livestrong.com, February 4, 2014; http://www.livestrong.com/article/109681-benefits-saw-palmetto-women/. Henritz, E., “The Effects of Saw Palmetto on Women With too Much Androgens,” Livestrong.com, August 16, 2013; http://www.livestrong.com/article/219787-the-effects-of-saw-palmetto-on-women-with-too-much-androgens/. “Saw Palmetto,” WebMD web site; http://www.webmd.com/vitamins-supplements/ingredientmono-971-saw%20palmetto.aspx, last accessed August 27, 2015.